Want to check if your car has cockroaches? 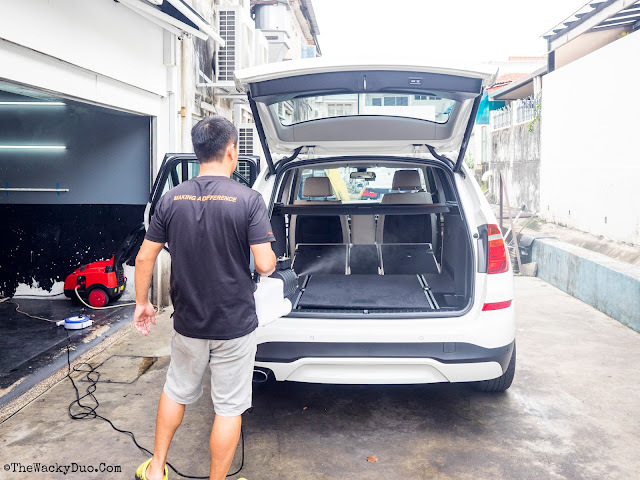 Felix from EA Detailer invited us to head down to their workshop to experience the 4 Stage Interior Cabin Sanitization . 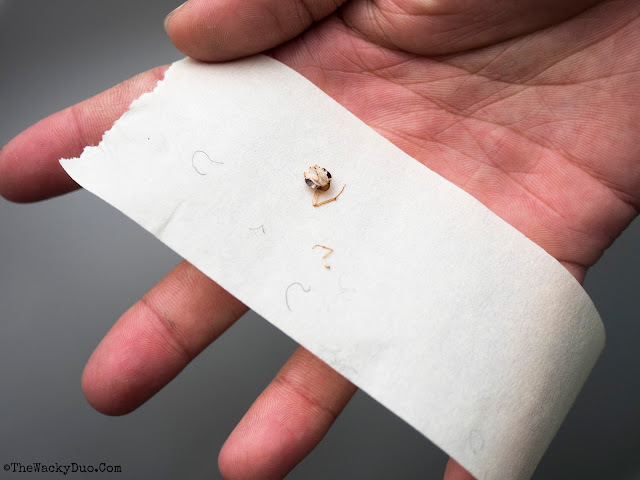 He mentioned that during the process, we might see roaches coming out from their hideouts in the cars. We were skeptical about it. The boys do have their occasional quick meals in the cars, but we were sure it was well clean thereafter. Since the challenge was issued, we decided to take it up and see with our own eyes. The time has come for the showdown. Will our weekly cleanup result in a cockroach free car? 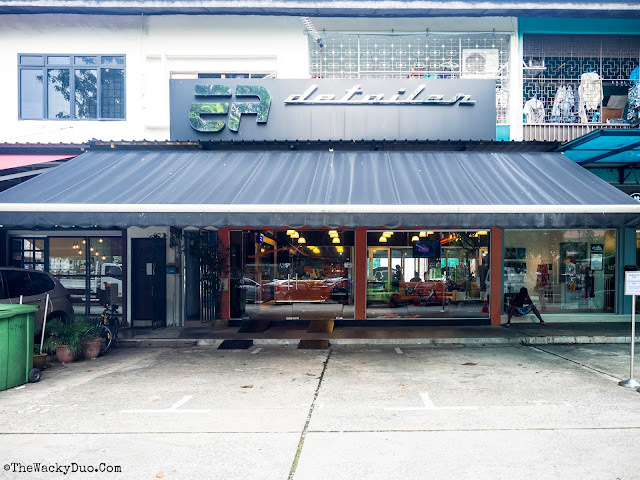 We headed down to EA Detailer at Jln Tua Kong to find out. Nestled among a row of shop houses in Siglap landed enclave, EA Detailer is easy to spot with its orange facade. 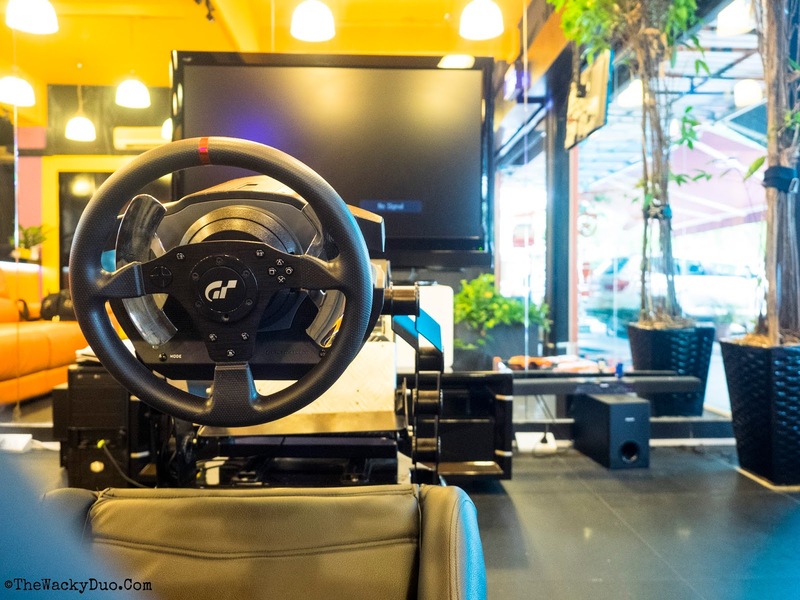 Step into the office and you would have though that you are in a man cave rather than a grooming center. A plush orange sofa awaits next to a full-fledged racing set up. During our visit, it was under maintenance. 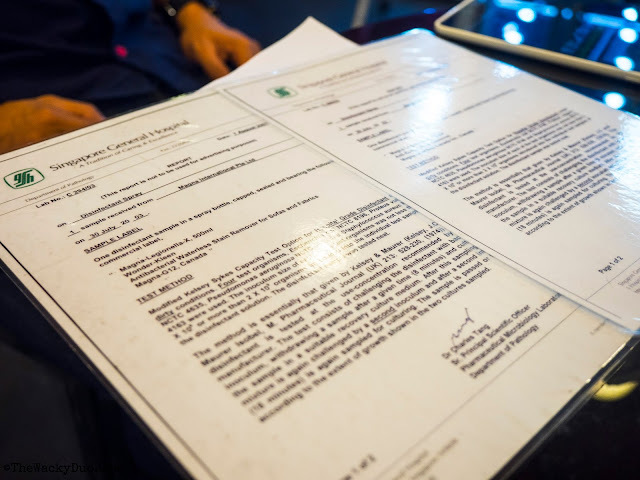 Once it is up and running, it's for the use of customers who are waiting for their treatment to be completed. 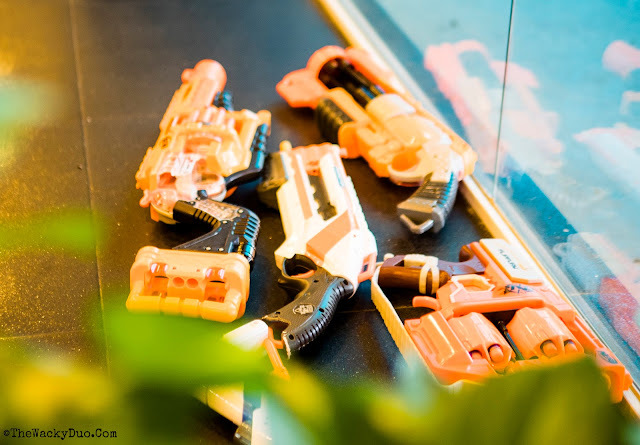 An arsenal of Nerf guns was also found to entertain the kids when needed. 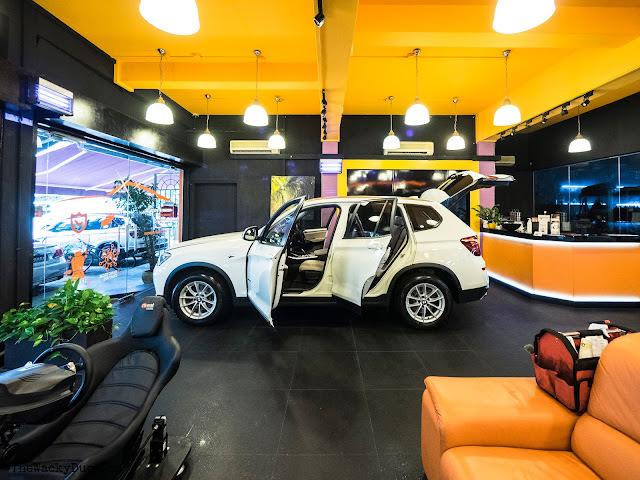 It is hard to ignore the distractions, but it is time to get down to the business of giving the car an interior makeover. Prior to the start, we had a pre-inspection check on the exterior for dings and scratches. The staff was very professional and took images of the defects. It was very reassuring but at the same time, we discovered marks on the car that we were not aware of! Time to book an exterior makeover package. In addition, the staff explained the products used for the interior cleaning process. We were glad to learn that the disinfectants were certified by Singapore General Hospital. It is a piece of mind especially when you have young kids in the car. The whole process for the 4 stage steam purification takes about 4-5 hours. 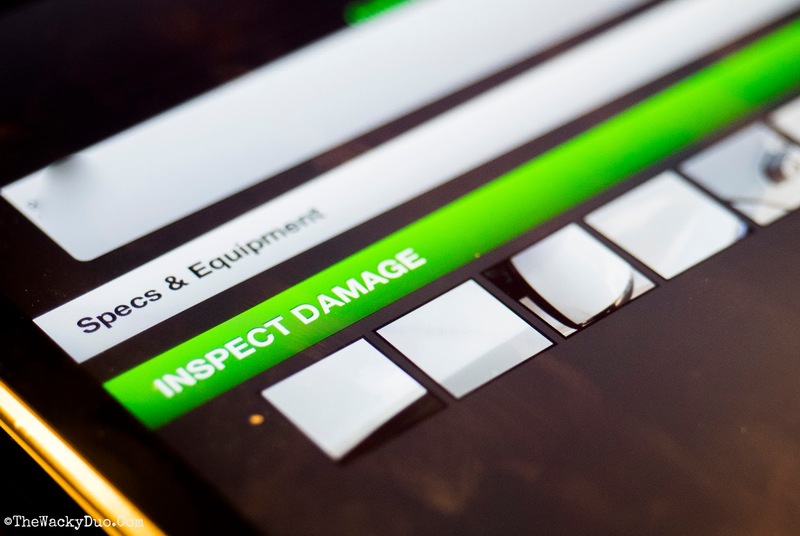 We now understood why as the staff was meticulous in detail even during pre-inspection. After preinspection, the 4 Stage Interior Cabin Sanitization process begins. Before the start of the cleaning process, the car got an exterior clean up to keep it fresh and clean for the upcoming treatment. 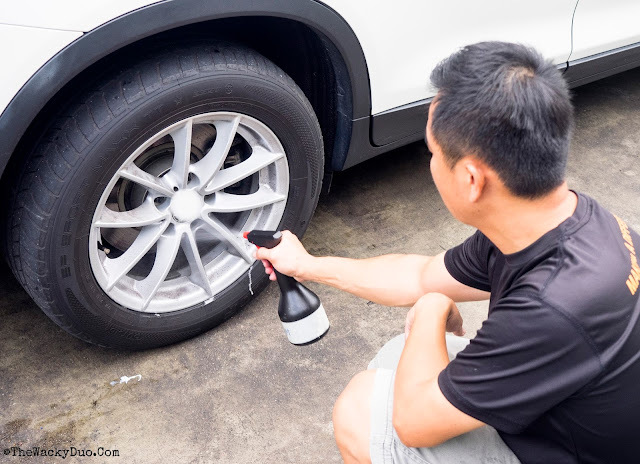 We particularly like the tyre treatment that left the rims shiny after a clean. It was a very detailed wash indeed. After the general wash, it is time to begin the process. The team started with Bio Fumigation. 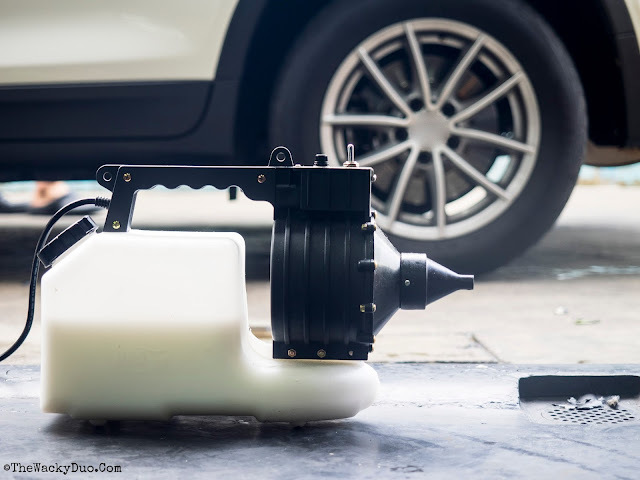 Using a child safe solution made from plant extract, this process is necessary to flush out the bugs in the car. The car was locked up for about 10 minutes following the fuming. Thereafter, it was inspection time. 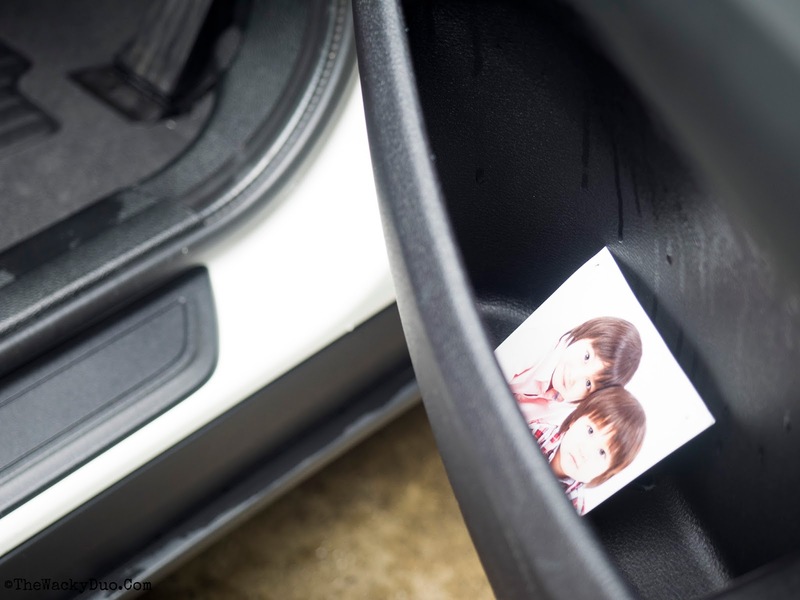 Would we really find roaches in the car? At the end of the fuming process, the team picked up what was remains of cockroaches that once called the car home. The good thing was that they found half a body. On the flip side, where is the other half! We were told that dead roaches might appear the morning after as it takes awhile for the fumes to reach the inner hiding spots in the car. Maybe the other half would appear the next morning? It was only Stage 1, but we were already convinced of the usefulness of professional interior cleaning. To prep the interior, EA uses a water filtration system to capture typical dirt, while remaining microscopic are caught by HEPA Neutralizer Filtration system. 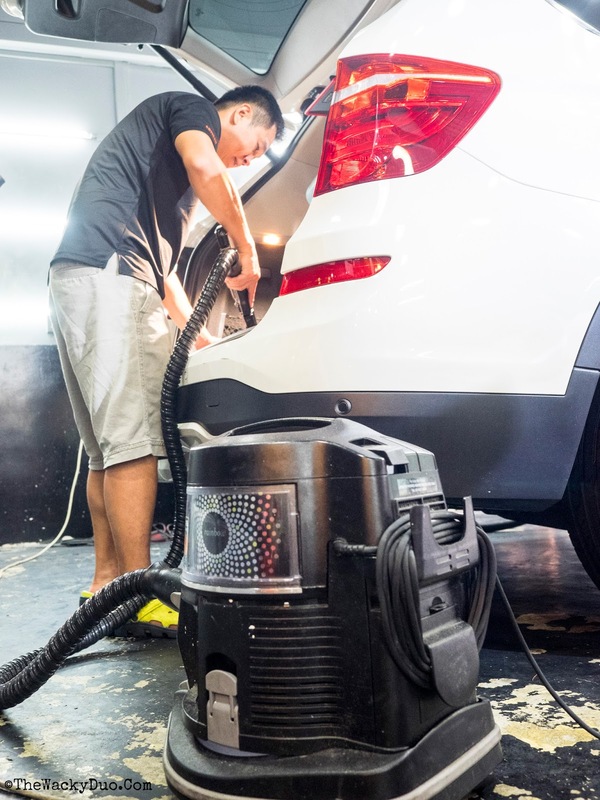 A high-end Rainbow Vaccum is used for this purpose to remove the contaminants from the cabin. 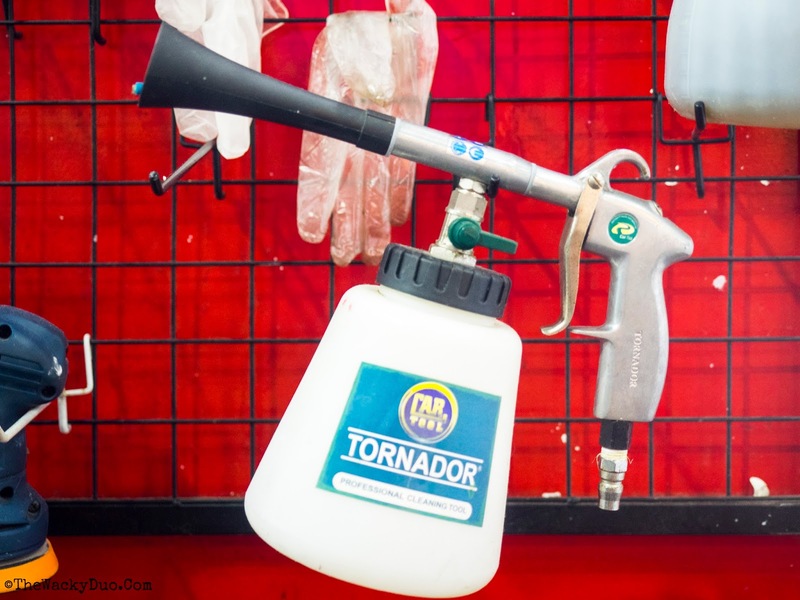 Other device includes the Tornado gun that blasts off dirt and dust. Normally. 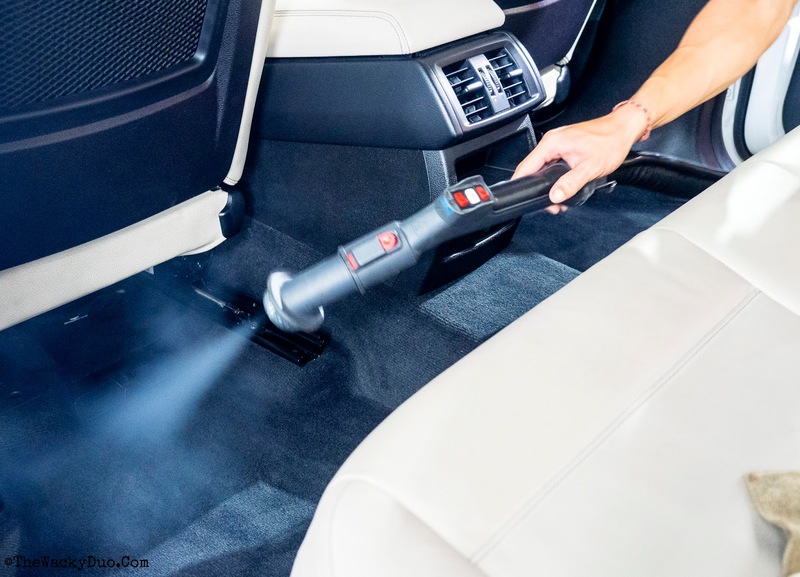 we use a generic car vacuum for the car. Upon seeing these tools of trade, we were glad to bring the car in for a thorough wash.
Next up is the sanitization process. 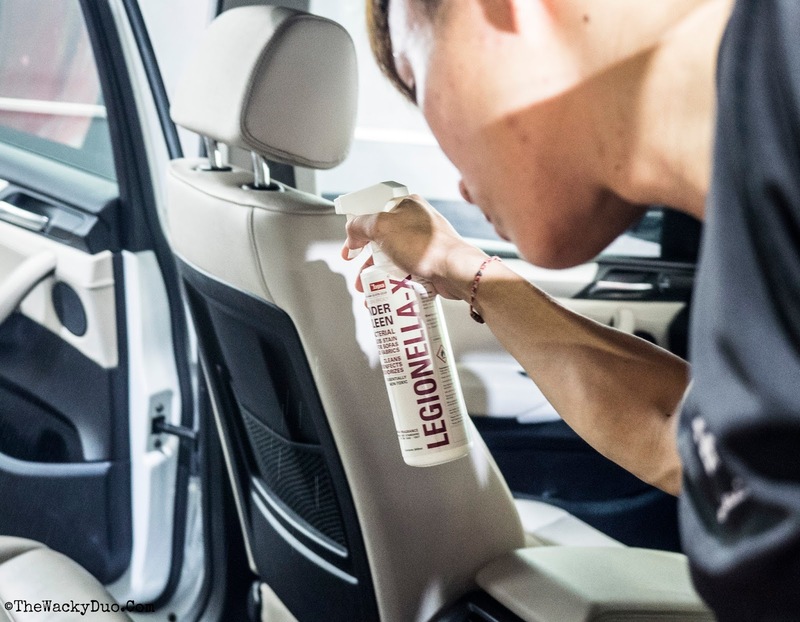 Unlike other interior cleaning that just vacuums away the cockroaches and dirt, EA Detailer takes a step further by wiping away the germs and bacterias in the car. 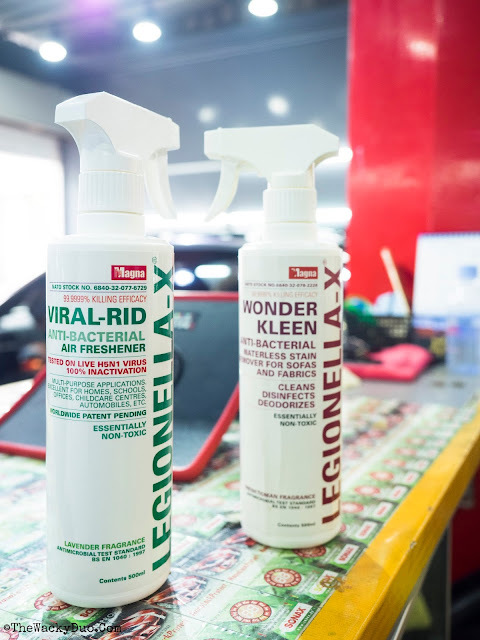 Using Hospital Grade Disinfectant medically certified by SGH, the Legionella-x agent is proven to be 99.98% effective against HFMD and other bacteria and virus. After blasting away the dirt, it was time to touch up on the interior. With a beige interior, it is hard to maintain especially with young kids. 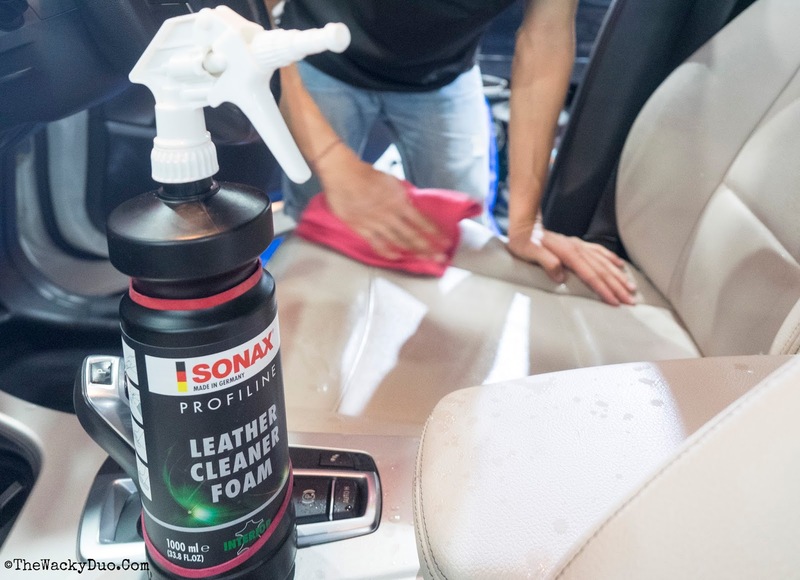 After a good shampoo to remove the bacteria and dirt, the car leather was protected with a Matt Dash Finishh leather protectant to maintain its finish. The interior dashboard and plastic trims were also freshened and clean. At the end of the treatment, the interior not only looked new but it has a 'new car' smell too. The final stage would be the ozonic treatment. 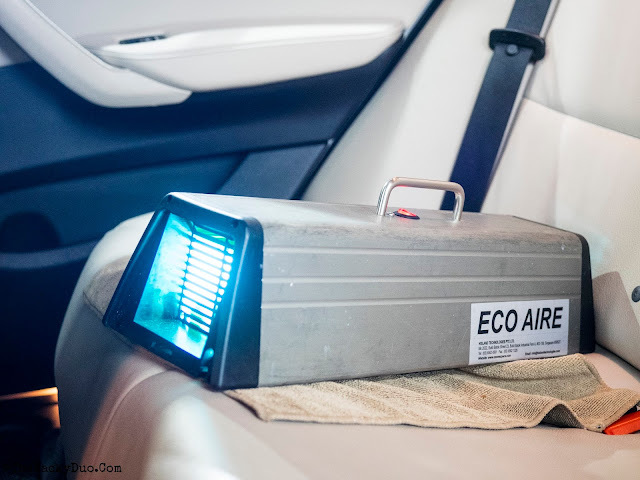 UV light is used to kill molds, bacteria and virus in the car. At the end of the treatment, the car is germ and bacteria free. Making it one of the cleanest places to be in, especially for the kids. If you have baby seats in the car, you might want to add the Baby Seat Sanitization to the package. You can find more details here. 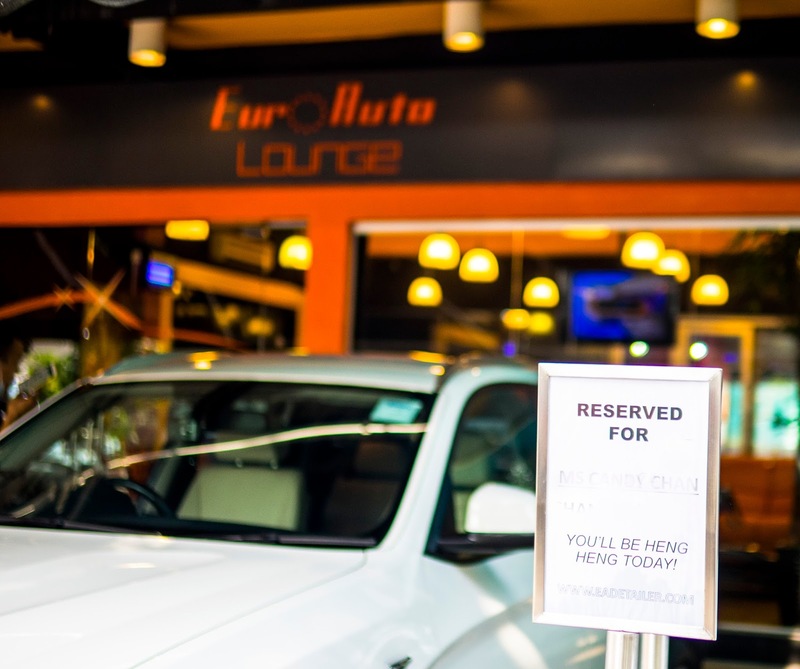 Before the handover, the car has a post inspection check in the showroom. 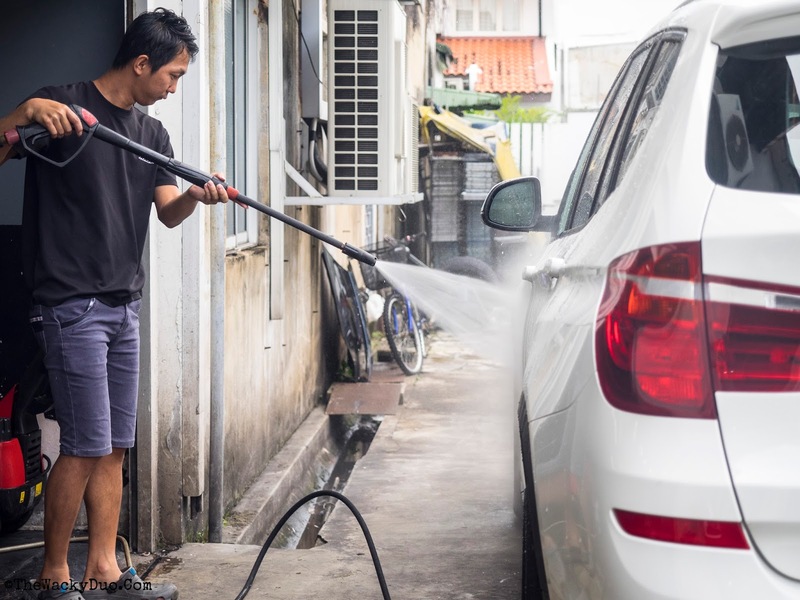 The staff was detailed in making sure the car is in tip top condition prior to handover. After some minor touch up, the car is ready for collection. Overall we were pretty impressed with the treatment. We took the 4 Stage Interior Cabin Sanitization process. There are other options available from EA Detailer. Visit the website to find out more. It is highly recommended to do a thorough clean up once every year to keep it in a tip top condition. 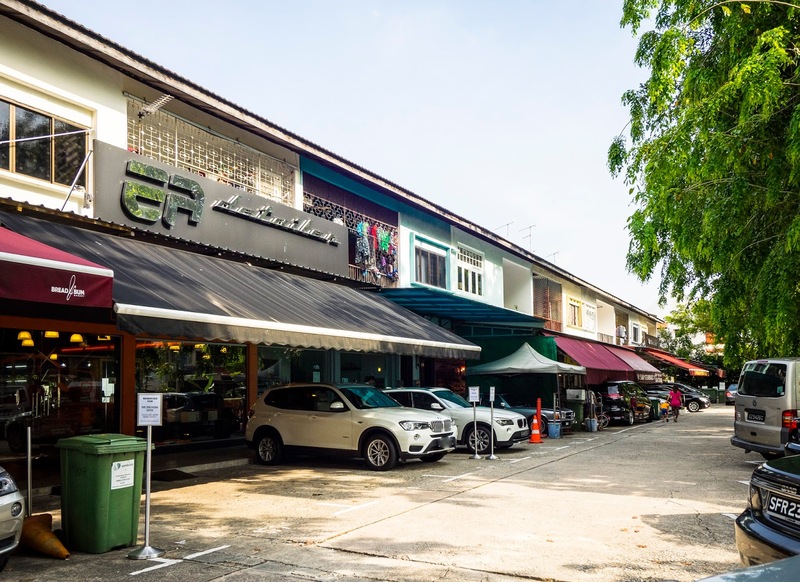 A car is a big expense in Singapore and a little care and love will go a long way to making each journey in it a pleasant experience. 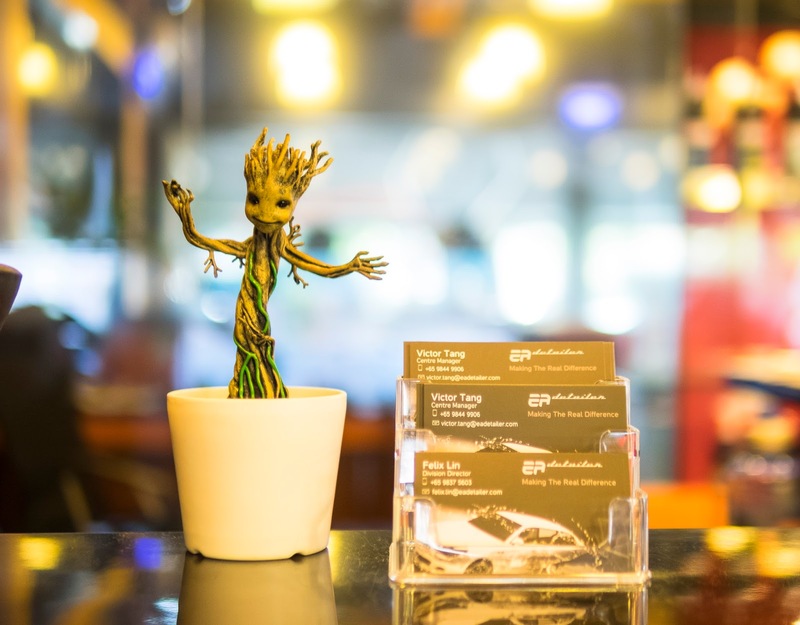 Just like baby Groot in Guardians of the Galaxy, a makeover makes the car more interesting and fun to drive in! Just for our readers, we have 2 special promotions for you. We think the best way to appreciate the service at EA Detailer is for you to experience it yourself. 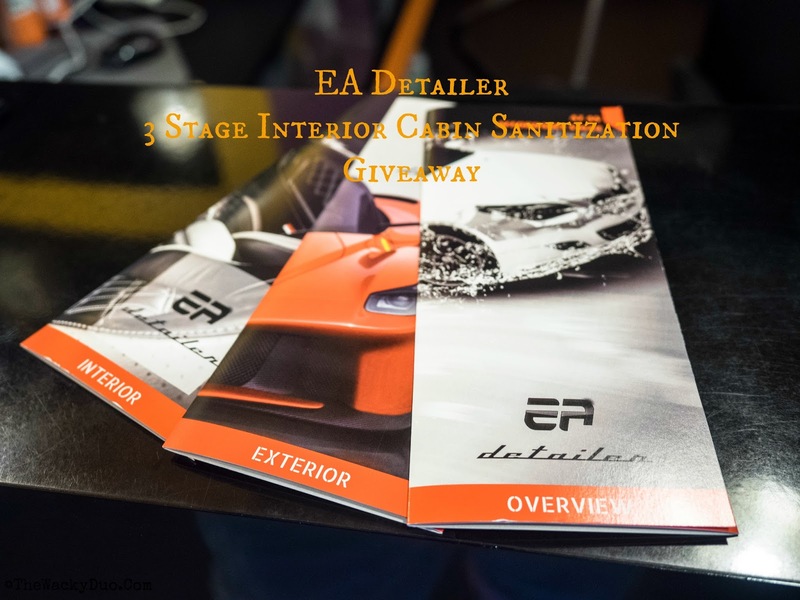 Courtesy of EA Detailer, we have one 3-Stage Interior Cabin Sanitization to be given away. Open to facebook fans of TheWackyDuo and EA Detailer. Results will be out on 25th May on this post. Winners are to response via email by 28th May with name, contact number and mailing address. Else prizes will be forfeited. Prizes are not transferable.Treatment would be as stated. 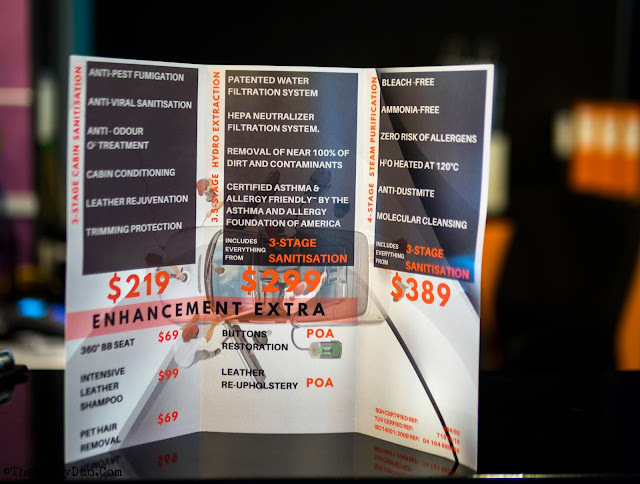 Additional treatments are at extra cost. For fans of TheWackyDuo on Facebook or Instagram. Follow us to increase your chances of winning. .
Open to Singapore residents with a valid Singapore mailing address (No PO Box) and a car. Only one winner per household. Duplicate Winners of a similar giveaway on other websites may be disqualified. The final decision will be made by the sponsors. Prize are subject to change and fulfillment by the sponsor. Winners are not allowed to change the prizes or exchange them for cash. Prizes are not meant to be sold or transferable. Thewackyduo.com is not liable for the prizes indicated including defective item. Winners of past giveaways in the last one month will not qualify for this giveaway. This promotion is in no way sponsored, endorsed or administered by, or associated with Facebook, Instagram or Blogger. You understand that you are providing your information to thewackyduo.com and not to any other social platform. The 4 stage steam purification was sponsored for the purpose of this review.